Amy sued Fixit for breach of its contract with the condominium, which required that all repairs be completed in a workmanlike manner. Although she was not a party to the contract, Amy claimed to be a third-party beneficiary of the agreement because she would have benefited if the repairs had been done properly. On these facts, a Massachusetts court would very likely dismiss her contract claim. (b) the circumstances indicate that the promisee intends to give the beneficiary the benefit of the promised performance. Restatement (Second) of Contracts § 302. As Amy was not a creditor of either party to the management contract, she must satisfy subsection (b) by establishing that the contracting parties intended the contract to benefit her. “In order to recover as a third-party beneficiary, the plaintiffs must show that they were intended beneficiaries of the contract….” Cumis Ins. Society, Inc. v. BJ’s Wholesale Club, Inc., 455 Mass. 458, 464 (2009), quoting Spinner v. Nutt, 417 Mass. 549, 555 (1994). “Under Massachusetts law, a contract does not confer third-party beneficiary status unless the ‘language and circumstances of the contract’ show that the parties to the contract ‘clear[ly] and definite[ly]’ intended the beneficiary to benefit from the promised performance.” Cumis, 455 Mass. at 466, quoting Anderson v. Fox Hill Village Homeowners Corp., 424 Mass. 365, 366–367 (1997). See also Go-Best Assets, Ltd. v. Citizens Bank of Massachusetts, 463 Mass. 50, 61 n.12 (2012); Alford v. Capitol Realty Group, Inc., 88 Mass. App. Ct. 1106, 2015 WL 5602608, * 2 (9/24/15); Try Switch. Ltd. v. Endurance Intern. Group, 83 Mass. App. Ct. 1131, 2013 WL 2096605, *1 (5/16/13) (unpublished Rule 1:28 opinion); James Family, 80 Mass. App. Ct. at 724. It is not enough that the plaintiff receives an incidental benefit from the contract. The parties to the contract must have intended such benefit. “That the plaintiffs derive a benefit from a contract between others does not make them intended third-party beneficiaries and does not give them the right to enforce that agreement.” Cumis, 455 Mass. at 464. See also James Family, 80 Mass. App. Ct. at 724 (“In contrast to an intended beneficiary, an incidental beneficiary obtains no right to enforce the contract.”); Restatement (second) of Contracts, §315. As there is no evidence that either the condominium or Fixit intended their contract to benefit Amy or other unit owners, Amy is not a third-party beneficiary and cannot enforce the contract. When litigation involves a claim of title to real estate, the claimant may obtain judicial approval to record a lis pendens against the property, notifying potential purchasers that litigation affecting the property is pending. See Massachusetts G.L. c. 184, §15. Real estate subject to a lis pendens may be virtually unmarketable. While a lis pendens serves an important purpose when there is a genuine dispute as to title, when the underlying claim is weak or frivolous the recording of a lis pendens unjustly restricts the owner’s right to sell the property. To protect owners from lis pendens based on frivolous claims, G.L. c. 184, §15(c) allows an owner to file a special motion to dismiss the underlying action, thereby also dissolving the lis pendens. shall be granted if the court finds that the action or claim is frivolous because (1) it is devoid of any reasonable factual support; or (2) it is devoid of any arguable basis in law; or (3) the action or claim is subject to dismissal based on a valid legal defense such as the statute of frauds. In ruling on the special motion to dismiss the court shall consider verified pleadings and affidavits, if any, meeting the requirements of the Massachusetts rules of civil procedure. (Emphasis added). See also Galipault v. Wash Rock Investments, LLC, 65 Mass. App. Ct. 73, 81 (2005). As the statute’s use of the disjunctive “or” indicates, a court must grant the special motion and dismiss the plaintiff’s complaint if it is frivolous for any of the three listed reasons. The standard of review for a special motion to dismiss is the functional equivalent of a motion for summary judgment; it requires the court to assess the plaintiff’s claim in light of the record before the court. The court does not weigh evidence, assess credibility, or find facts; it may only consider undisputed material facts and apply them to the law. In viewing the factual record presented as part of the motion, the court is to draw “all logically permissible inferences” from the facts in favor of the non-moving party. The judge must consider the verified pleadings and affidavits in ruling on the special motion and, if the motion is granted, award costs and attorney’s fees to the aggrieved party. 2016 WL 1460477, at *2 (citations omitted). In accordance with the summary judgment standard, a party filing a special motion to dismiss, “in a case in which the opposing party will have the burden of proof at trial is entitled to [dismissal] if he demonstrates … by reference to material described in Mass.R.Civ.P. 56(c), unmet by countervailing materials, that the party opposing the motion has no reasonable expectation of proving an essential element of that party’s case.” Kourouvacilis v. General Motors Corp., 410 Mass. 706, 716 (1991). The complaint must include a certification by the claimant made under the penalties of perjury that “no material facts have been omitted therefrom.” No such certification was made in the instant case. This requirement is not one of mere form. In view of the serious consequences that may arise from the recording of a memorandum of lis pendens, strict compliance with the statutory prerequisites is required. The omission of the certification constituted a material deficiency. Accordingly, the orders denying the plaintiff’s motion for a preliminary injunction and motion for approval of a memorandum of lis pendens are affirmed. Id. at 906. (Emphasis added, citations omitted). See also Haley v. Welch, 84 Mass. App. Ct. 1104, 2013 WL 3820680, *2 (7/25/13) (unpublished Rule 1:28 opinion) (affirming trial judge’s refusal to allow late or retroactive verification where complaint, as filed, failed to certify that no material facts had been omitted). Moreover, even where the required certification is made, a court should grant a special motion to dismiss where the complaint actually omits material facts. “A party’s failure to include all material facts may result in the dismissal of that party’s claims where the omitted facts establish that those claims are devoid of reasonable factual support or arguable basis in law.” McMann v. McGowan, 71 Mass. App. Ct. 513, 519-20 (2008). “A material fact is one that is ‘significant or essential to the issue or matter at hand.’ ” Id. at 520, quoting Black’s Law Dictionary 629 (8th ed. 2004). This makes sense because the lis pendens statute assumes that a court endorsing a lis pendens has considered all relevant and material facts. Accordingly, where a lis pendens is recorded in connection with claims which arguably are frivolous, or where the compliant fails to certify that it contains all material facts or in fact omits material facts, the property owner should consider filing a special motion to dismiss. In a tragic accident, a doctor negligently administers radiation treatments to his patient’s leg, resulting in serious burns. The patient is immediately aware of the burns, but does not know that her doctor was negligent. The doctor continues to treat the patient for four more years, making various unsuccessful attempts to heal the burn. Throughout this time, the patient never learns of her doctor’s negligence. Eventually, the patient’s leg must be amputated. After the amputation, the negligent doctor plays no further role in caring for the patient, who is treated by others. Six years after her injury, having learned from her new physicians that her burns were caused by her former doctor’s negligent administration of the radiation treatments, the patient sues the negligent doctor for malpractice. Is her claim barred by the three-year statute of limitations applicable to medical malpractice actions? Probably not. In Parr v. Rosenthal, 475 Mass. 368 (2016), the Massachusetts Supreme Judicial Court adopted the continuing treatment doctrine, under which the statute of limitations for a medical malpractice claim does not begin to run while the patient continues to be treated by the allegedly negligent doctor, unless the patient obtains actual knowledge not just that she has been injured by the doctor’s treatment but that the doctor’s conduct was negligent. The statute of limitations and statute of repose. Massachusetts G.L. c. 231, § 60D, provides that a claim for medical malpractice, “shall be commenced within three years from the date the cause of action accrues …, but in no event shall such action be commenced more than seven years after occurrence of the act or omission which is the alleged cause of the injury upon which such action is based ….” Thus, an action for medical malpractice is subject to a three-year statute of limitations and a seven-year statute of repose. In the factual scenario described above, the patient commences her action within seven years, so the statute of repose does not bar her claim. The question is whether the patient’s claim is barred by the three-year statute of limitations. “A statute of limitations typically prescribes the time period when an action must be commenced after the cause of action ‘accrues.’ ” Parr, 475 Mass. at 377. “Under the discovery rule, medical malpractice claims accrue when the plaintiff learns, or reasonably should have learned, that he has been harmed by the defendant’s conduct.” Id. at 377-78. (Internal quotation marks omitted). However, the plaintiff need not know that the defendant was negligent. “[U]nder our common law, once a patient knows or reasonably should know that he or she has suffered harm and that the harm was caused by the physician’s conduct, the statute of limitations clock starts to run, and the patient then has three years to discover whether the physician committed a breach of the standard of care and whether the theory of causation is supported by the evidence, and, if so, to commence a civil suit.” Id. at 378. The continuing treatment doctrine is an exception to the discovery rule. While under the discovery rule, the patient’s cause of action accrues, and the limitation period begins to run, as soon as the patient learns that she has been injured as a result of the physician’s conduct, under the continuing treatment doctrine, while the negligent doctor continues to treat the patient, the limitation period begins to run only when the plaintiff learns not just that she has been injured by the doctor’s conduct, but also that the doctor was negligent. We … hold that the statute of limitations for a medical malpractice claim generally does not begin to run while the plaintiff and the defendant physician continue to have a doctor-patient relationship and the plaintiff continues to receive treatment from the physician for the same or a related condition. We also hold that the continuing treatment exception to the discovery rule terminates once a patient … learns that the physician’s negligence was the cause of his or her injury. [W]hile [a] physician continues to treat the patient for the same or related injury or illness, the physician’s patient, like an attorney’s client, “realistically cannot be expected to question and assess the techniques employed or the manner in which the services are rendered.” Just as we recognize that a represented party is entitled to retain confidence in his or her legal counsel’s “ability and good faith” while the representation continues, so, too, do we recognize that a patient is entitled to retain confidence in his or her physician’s ability and good faith while continuing treatment with that physician. The legal client is disadvantaged in learning whether his or her attorney has committed a breach of the standard of care while that attorney continues to represent the client, and so, too, is a patient disadvantaged in learning whether a physician has committed a breach of the standard of care while the physician continues to treat the patient. And just as a wronged client is permitted to benefit from his or her attorney’s efforts to correct a problem without the disruption of exploring the viability of a legal malpractice action, so, too, is a patient permitted that same benefit without the disruption of exploring the viability of a medical malpractice action. Effect of actual knowledge on continuing treatment doctrine. … Thus, we conclude that the continuing treatment exception to the discovery rule terminates only when the plaintiff has actual knowledge that his or her treating physician’s negligence has caused the patient’s appreciable harm, because it is only then that there can no longer be the kind of “innocent reliance” that the continuing treatment doctrine seeks to protect. Once a patient learns that the physician’s negligence was the cause of his or her injury, the patient has acquired sufficient information to initiate litigation, and there is no longer adequate reason to continue to toll the statute of limitations. Id. at 383-84. (Emphasis in original, citations and footnote references omitted). In the scenario outlined above, the patient commences her malpractice action six years after her injury, rendering her claim potentially untimely under the three-year statute of limitations. The discovery rule offers no assistance to the patient because she knew from the beginning that her injury was caused by the defendant doctor’s conduct (enough to start the clock running under the discovery rule). However, the continuing treatment doctrine should apply. The doctor-patient relationship between the patient and the negligent doctor continued for four years after the injury. While that relationship continued, the malpractice claim could accrue, and the limitations period could begin to run, only if the patient obtained actual knowledge that her doctor had acted negligently. As she never knew of her doctor’s negligence while their relationship continued, the limitations period was tolled during the entire four years of the relationship and began to run only after the patient’s leg was amputated and the defendant doctor ceased to be involved in her treatment. She brought suit six years after her injury, but only two years after the end of her doctor-patient relationship with the defendant. Therefore, the three-year statute of limitations does not bar the patient’s malpractice action. After years of work, and in total disregard of the laws of physics, Buoyant, Inc. has invented “Floatzar,” a material stronger than steel but lighter than air. An object of any size made from Floatzar effortlessly rises skyward. Aware of the potential value of this discovery, Buoyant’s officers and employees treat all information about the development of Floatzar as a trade secret. Buoyant intends to market Floatzar to military and aerospace clients. Unfortunately, across town, Jimmy Jo Bob, CEO of Bob’s Big Balloons, Inc., hears of the new miracle material and envisions limitless balloon-related opportunities. A former NSA operative and direct mail marketer, Bob hacks Buoyant’s computers and steals Floatzar’s secret formula. Buoyant executives suspect a security breach when they see a child holding a string tethered to a large, very solid, floating taxi cab. Buoyant successfully sues Bob’s Big Balloons for misappropriation of trade secrets, obtaining a $10 million judgment against the company. Unfortunately, Bob’s Big Balloons is “judgment proof,” having only $12.50 in assets. Bob, on the other hand, has significant personal wealth, as does the company’s other shareholder, Peggy Sue Rob, a chemical engineer who also heads the company’s balloon animal division. But Buoyant failed to name Bob or Peggy, individually, as a defendants in its lawsuit, even though their personal involvement in the trade secret theft would have made them individually liable for the corporation’s misdeeds. Buoyant can’t file a new, separate action against Bob or Peggy because the statute of limitations for a trade secret claim has long since expired. In a last ditch effort, Buoyant brings a second lawsuit, this time against Bob and Peggy, personally. In this case, Buoyant does not seek a new judgment against Bob or Peggy for theft of trade secrets. Instead, it seeks to hold them personally liable on the judgment already obtained against Bob’s Big Balloons, arguing that the court should disregard the company’s corporate identity and “pierce the corporate veil” so as to rule that a judgment against the company is really a judgment against Bob and Peggy, individually. In support of its effort to pierce the veil, Buoyant argues that it would be inequitable to allow Bob and Peggy to escape liability for company misconduct which they orchestrated. Buoyant claims that the court should ignore the corporate structure of Bob’s Big Balloons because: (1) Bob and Peggy were in total control of the company; (2) the company was insolvent when Buoyant sued it for theft of trade secrets, (3) Bob and Peggy under-capitalized Bob’s Big Balloons because their initial investments in the company were not enough to cover both operating expenses and any judgment Bob’s Big Balloons was likely to have to pay after stealing Buoyant’s trade secrets, and (4) they used the company to promote fraud (i.e., to steal trade secrets). Can Buoyant recover its judgment against Bob’s Big Balloons from Bob and Peggy, personally? Probably not. Factors relevant to piercing the corporate veil under Massachusetts law. Id. at 732-33, quoting My Bread Baking Co. v. Cumberland Farms, Inc., 353 Mass. 614, 620 (1968) (Emphasis in original). See also Lipsitt v. Plaud, 466 Mass. 240, 252-53 (2013). (1) common ownership; (2) pervasive control; (3) confused intermingling of business activity assets, or management; (4) thin capitalization; (5) nonobservance of corporate formalities; (6) absence of corporate records; (7) no payment of dividends; (8) insolvency at the time of the litigated transaction; (9) siphoning away of corporate assets by the dominant shareholders; (10) nonfunctioning of officers and directors; (11) use of the corporation for transactions of the dominant shareholders; (12) use of the corporation in promoting fraud. Id. at 14–16. (Emphasis added). The Massachusetts Appeals Court in Evans adopted the Pepsi-Cola factors as Massachusetts law. Massachusetts courts apply a more stringent standard for veil piercing than is applied by federal courts and those of many other states. Newman v. European Aeronautic Defence and Space Company EADS N.V., 70 F.Supp.2d 156, 166 (D. Mass. 2010) (Massachusetts standard more stringent than federal). Platten v. HG Bermuda Exempted Ltd., 437 F.3d 118, 127 (1st Cir. 2006) (“Massachusetts Courts have been somewhat more ‘strict’ than other jurisdictions in respecting the separate entities of different corporations”); Noonan v. The Winston Company, 135 F.3d 85, 94 (1st Cir. 1998) (describing Massachusetts standard as “stringent”); Salvail v. Relocation Advisors, Inc., 2011 WL 1883861, *1 (D. Mass. 5/17/11) (“especially strict”); Rondout Valley Central School District v. Coneco Corp., 339 F.Supp.2d 425, 441 (N.D.N.Y. 2004) (evidence must be “compelling” to pierce veil under Massachusetts law). Although the 12 Pepsi-Cola factors need not all be satisfied in order to justify piercing the corporate veil, Buoyant is unlikely to succeed in its action against Bob and Peggy because it bases its claim on only four factors and will have difficulty proving even those. With regard to the second factor, while Buoyant may be able to show that Bob and Peggy had full control over Bob’s Big Balloon’s, “control, even pervasive control, without more, is not a sufficient basis for a court to ignore corporate formalities.” OMV Associates, L.P. v. Clearway Acquisition, Inc., 82 Mass. App. Ct. 561, 566 (2012), citing Scott v. NG U.S. 1, Inc., 450 Mass. 760, 768, (2008). Further, “The ownership of all the stock and the absolute control of the affairs of a corporation do not make that corporation and the individual owner identical, in the absence of a fraudulent purpose in the organization of the corporation.” Gordon Chem. Co. v. Aetna Cas. & Sur. Co., 358 Mass. 632, 638 (1971). Although Buoyant might claim that Bob’s Big Balloons was formed for the fraudulent purpose of stealing trade secrets, Bob and Peggy can convincingly refute this contention by showing that their company existed, and provided real services to real clients, for many years. The fourth factor, “thin capitalization,” also is not present in this case. Buoyant acknowledges that Bob and Peggy funded Bob’s Big Balloons sufficiently to cover the company’s relatively low everyday operating expenses. Buoyant contends, however, that Bob and Peggy were also required to capitalize Bob’s Big Balloons to the extent required to defend a lawsuit and pay a judgment for theft of trade secrets, because Bob and Peggy should have anticipated that Bob’s Big Balloons would be sued if it stole trade secrets. Are the risks to be perceived only those that are normal for a business, or do they include a highly unusual tort claim that greatly exceeds the firm’s liability insurance? Does the test demand that the total amount the shareholders invest must literally equal the present value of all future liabilities of the firm or does it entail some lesser amount that is simply necessary to launch the firm such that its future cash flows will meet its normal operating expenses? The former is clearly an unreasonable demand because no company can be expected to endow its future operating expenses and liabilities as a precondition to opening its doors. …It would therefore appear that inadequate capitalization has correctly assumed a limited role in veil-piercing cases, that of being a surrogate for the probable bad faith of the firm’s promoters. James D. Cox and Thomas Lee Hazen, Inadequate Capitalization as a Factor for Piercing the Veil, 1 Treatise on the law of Corporations §7.11 (3d) (2011) (Emphasis added). In their reply brief, the plaintiffs, without citation to any authority, argue that the corporation “had a duty either to maintain adequate capitalization or in the alternative to maintain liquor liability insurance.” In this case, the corporation-a neighborhood tavern-would have had to maintain an unlikely net worth in the range of three million dollars to cover the judgment rendered against the corporation, and continue in business. Thus the question comes down to the issue of the absence of insurance coverage. Id. at 169 n.11. The court went on to rule that failure to maintain adequate liability insurance was not grounds for piercing the corporate veil. The Court also does not find that Iovate USA was inadequately capitalized…. Although Iovate USA’s capital may not have been enough to satisfy multimillion dollar judgments, the capital was sufficient for Iovate USA to operate its normal business. See Laborers Clean–Up Contract Admin. Trust Fund. v. Uriarte Clean–Up Service, Inc., 736 F.2d 516, 524 (9th Cir.1984) (explaining that a corporation is undercapitalized when it is unable to meet debts that may reasonably be expected to arise in the normal course of business); Sheppard v. River Valley Fitness One, L.P., 2002 WL 197976, at *12 (D.N.H.2002) (“But the proper measure of the sufficiency of a corporate entity’s capitalization is not whether it can pay a potential judgment in a lawsuit but, rather, whether it had sufficient assets to meet the obligations incurred by conducting ordinary business in the industry in which it operates.”). Id. at 1122-23. (Footnote reference omitted). [T]he possibility that a plaintiff may have difficulty enforcing a judgment against a defendant is not enough to justify piercing the corporate veil. Courts do not pierce the corporate veil unless the corporation is so undercapitalized that it is unable to meet debts that may reasonably be expected to arise in the normal course of business. Id. at 840. (Citations and internal quotation marks omitted). See also Laborers Clean-Up Contract Admin. Trust Fund v. Uriarte Clean-Up Service, 736 F.2d 516, 524 (9th Cir. 1984); Sheppard v. River Valley Fitness One, L.P., 2002 WL 197976, at *12 (D.N.H.2002); ___ Assist LLC v. East Coast Lot & Pavement Maintenance Corp., 913 F.supp.2d 612, 631 (N.D. Ill. 2012); Bank of Montreal v. S.K. Foods, LLC, 476 B.R. 588, 598-99 (N.D. Cal. 2012). Thus, a court will probably not be convinced that Bob’s Big Balloons was undercapitalized. Bob’s Big Balloons was not insolvent at the time of the litigated transaction. The eighth Pepsi-Cola factor focuses on whether the corporation was insolvent “at the time of the litigated transaction.” In Buoyant’s case against Bob and Peggy, the “litigated transaction” must be Bob’s Big Balloons’ theft of trade secrets. However Buoyant has only asserted that Bob’s Big Balloons was insolvent when it, Buoyant, obtained its judgment in the trade secrets case. Buoyant cannot prove that Bob’s Big Balloons was insolvent at the time of the theft. In fact, as discussed above, Bob’s Big Balloons was adequately capitalized to meet its normal operating expenses. to form an opinion whether the overall structure and operation misleads. There is present in the cases which have looked through the corporate form an element of dubious manipulation and contrivance, finagling, such that corporate identities are confused and third parties cannot be quite certain with what they are dealing. Evans, 30 Mass. App. Ct. at 736. Thus, the focus of the twelve factors is on the misleading or confusing nature of the corporate form or structure, not on whether the corporation itself has committed a fraud or wrong. In Evans, the court found that piercing the corporate veil was not appropriate because the corporation, “did not masquerade as something it was not” and there was no evidence that the corporation was established or operated “so as to misrepresent or divert assets.” Id. See also Lothian v. Mumford, 2006 WL 1745064, *7 (Mass. Super. 6/9/06) (“This doctrine was devised to assist those who are confused about which corporation they are dealing with”). Consistent with the focus on use of the corporate form to deceive, misrepresent or confuse, courts have made clear that in order to have “use[d] the corporation to promote fraud” or to satisfy the first prong of the My Bread formulation (“active and pervasive control of related business entities by the same controlling persons and there is a fraudulent or injurious consequence by reason of the relationship among those business entities”), it is not enough that the corporation commit a fraud. That fraud must be accomplished by using the corporate form; the confusing or deceptive inter-corporate relationship must be an essential part of the fraud. Adelphia argues that disregarding the corporate form is appropriate here because the Members used Arista to commit a fraud. See Att’y Gen. v. M.C.K., Inc., 432 Mass. 546, 736 N.E.2d 373, 380 n. 19 (Mass.2000) (listing “use of the corporation in promoting fraud” as one of twelve factors that favor piercing the corporate veil). But the mere fact that Arista is a corporate person accused of fraud does not justify piercing the veil. Adelphia does not allege any facts showing that the Members fraudulently abused Arista’s corporate form or its limited liability. Id. at *3. (Emphasis added). Similarly, in Tech Target, Inc. v. Spark Design, LLC, 746 F.Supp.2d 353 (D. Mass. 2010), the court declined to pierce the corporate veil because the plaintiff did not allege any “fraudulent or improper use of Spark Design’s corporate form relevant to the contractual relationship at issue here.” Id. at 357. The court noted that the only fraud alleged was Spark Design’s issuance of a check drawn on an account with insufficient funds. “This fraud, however, was not related to any corporate manipulation. Moreover, Tech Target has not – and cannot – allege that it was deceived or misled about Spark Design’s corporate posture at the time it entered into the contract.” Id. (Emphasis added). Moreover, plaintiffs have failed to show any “fraudulent or injurious consequence of the intercorporate relationship.” Plaintiffs argue that the settlement offers were misleading and fraudulent, because defendants attributed the decision to retain investment returns to TFG’s prior management, when it had been the decision of the new management to continue the policy of violating investment contracts. Even assuming this misrepresentation might have supported fraud or unfair practices claims against the defendants (claims the jury and court here rejected), we think plaintiffs’ argument misses the point of the corporate disregard doctrine. The phrase “fraudulent or injurious consequence” is limited in My Bread by the phrase “of the intercorporate relationship.” There was no failure to “make clear which corporation [was] taking action” or “to observe with care” the corporate form. My Bread, 233 N.E.2d at 752. The Massachusetts Appeals Court has put this point well: “There is present in the cases which have looked through the corporate form an element of dubious manipulation and contrivance, finagling, such that corporate identities are confused and third parties cannot be quite certain with what they are dealing.” Evans, 574 N.E.2d at 400; cf. Oman Int’l Fin. Ltd. v. Hoiyong Gems Corp., 616 F.Supp. 351, 364 (D.R.I.1985) (noting that the better reasoned cases under Rhode Island law only pierce the corporate veil when the injurious consequences are a direct result of the misuse of the corporate form). Plaintiffs were never misled about which corporate entity-CRI or TFG-was obligated to them or was dealing with them. Id. at 1240. (Emphasis added). Plaintiff contends that Edward M. Koplovsky’s statements to plaintiff with respect to KFI’s intention to pay its outstanding invoices constituted misrepresentation and unfair trade practices. The alleged fraud must pertain to the intercorporate relationship, however, Birbara, 99 F.3d at 1240. Id. at 162. (Emphasis added). In like manner, the court in Giuliano v. Nations Title, Inc., 938 F.Supp. 78, 82 (D. Mass. 1996), a case in which the plaintiff sought to hold a corporate parent liable for the debts of its subsidiary, held that the first prong of the My Bread formulation is not satisfied simply by the occurrence of fraud. Rather, the relationship between the two corporations (the corporate form or structure) must be an integral part of accomplishing the fraud. If buoyant could establish that Bob and Peggy used Bob’s Big Balloons to promote fraud simply because they caused the company to steal trade secrets, then the promoting fraud factor of the veil piercing analysis could be established in almost any case, because cases where veil piercing is an issue commonly involve wrongful conduct of the corporation for which the plaintiff seeks to hold an individual shareholder liable. Because any alleged wrongdoing on the part of Bob’s Big Balloons or Bob and Peggy did not rely upon, and was not facilitated or made more successful by, any misuse of the company’s corporate form, Buoyant will not be able to establish that Bob and Peggy used Bob’s Big Balloons in promoting fraud. Bob and Peggy’s personal wrongdoing is irrelevant to piercing the corporate veil. While Bob and Peggy’s personal wrongdoing, in causing Bob’s Big Balloons to steal Buoyant’s trade secrets, would have been enough to render them liable had they been named defendants in Buoyant’s original lawsuit against Bob’s Big Balloons, it is not relevant to the veil piercing analysis. There are two entirely separate approaches to holding a corporate officer individually liable for wrongs committed by his or her corporation. One such approach is to pierce the corporate veil. Separate and apart from piercing, a corporate officer may sometimes be held personally liable for corporate torts in which the officer was personally involved. Townsends, Inc. v. Beaupre, 47 Mass. App. Ct. 747, 751-52 (1999). However, a claim against Bob and Peggy based on their personal participation in their company’s theft of trade secrets should have been asserted in Buoyant’s earlier action against Bob’s Big Balloons. Such a claim cannot be made in Buoyant’s second lawsuit seeking to pierce the corporate veil. The only issue in that case is whether Bob and Peggy, individually, should be held responsible for the corporate judgment debt of Bob’s Big Balloons. The courts have made clear that the piercing and personal involvement approaches to imposing personal liability on a corporate officer are separate. In Alves v. Daly, the court pointed out that a “plaintiff does not need to pierce the corporate veil to hold an officer of a corporation personally liable for a tort committed by the corporation that employs him, if he personally participated in the tort ….” 2013 WL 1330010, *8 (D. Mass. 3/29/13). (Internal quotation marks omitted). See also Ray-Tek Services, Inc. v. Parker, 64 Mass. App. Ct. 165, 177-78 (2005) (holding that plaintiff has not satisfied requirements for piercing the veil but could still hold corporate officer liable due to his personal involvement in tortious conduct); Townsends, 47 Mass. App. Ct. at 751-52 (similar to Ray-Tek); McCarthy v. Slade Assoc., Inc., 24 Mass. L. Rptr. 603, 2004 WL 4739775, *4 (Mass. Super. 8/21/08) (citing Cash Energy, Inc. v. Weiner, 768 F.Supp. 892, 895 (D. Mass. 1991), for the proposition that personal liability is usually precluded unless “grounds are shown either for piercing the corporate veil or finding active personal involvement in a tortious act.”). Piercing the veil is highly fact-dependent. As the foregoing discussion indicates, a Massachusetts court will pierce the corporate veil only in rare cases. The 12 factor analysis is highly fact-dependent and requires a detailed examination of the evidence. In Iannacchino v. Ford Motor Company, 451 Mass. 623 (2008), the Massachusetts Supreme Judicial Court, refined the standard for granting a motion to dismiss. It retired the familiar directive that “a complaint should not be dismissed for failure to state a claim unless it appears beyond doubt that the plaintiff can prove no set of facts in support of his claim which would entitle him to relief,” Nader v. Citron, 372 Mass. 96, 98 (1977) (quoting Conley v. Gibson, 355 U.S. 41, 45-46 (1957)), instead adopting a new federal approach under which a complaint must contain, “factual ‘allegations plausibly suggesting (not merely consistent with)’ an entitlement to relief.” Iannacchino, 451 Mass. at 636, quoting Bell Atl. Corp. v. Twombly, 550 U.S. 544, 557, 127 S.Ct. 1955, 1966, 167 L.Ed.2d 929 (2007). 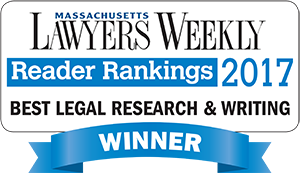 See also Galiastro v. Mortgage Electronic Registration Systems, Inc., 467 Mass. 160, 165 (2014); Lopez v. Com., 463 Mass. 696, 700-01 (2012). While the “plausibility” requirement is easily stated, its practical application is less obvious than the prior “prove no set of facts” standard. Indeed, “the precise parameters of the plausibility standard are still a work in progress.” Gianfrancesco v. Town of Wrentham, 712 F.3d 634, 638-39 (1st Cir. 2013) (internal quotation marks omitted). Just how much factual detail is required to make a claim plausible? What separates a valid factual allegation from a mere legal conclusion insufficient to withstand a motion to dismiss? This article considers those questions, among others. Because Iannacchino adopted the federal standard, and because Massachusetts courts interpreting the Massachusetts Rules of Civil Procedure routinely look to, “the construction given to the cognate Federal rules,” Chavoor v. Lewis, 383 Mass. 801, 806 n.5 (1981), I refer to both federal and Massachusetts case law. In order to determine whether a complaint states a plausible claim for relief, which will survive a motion to dismiss, a court must apply a two-stage test. First, although all factual allegations contained in the complaint must be assumed to be true for purposes of a motion to dismiss, this tenet does not apply to legal conclusions. Ashcroft v. Iqbal, 556 U.S. 662, 678, 129 S.Ct. 1937, 1949, 173 L.Ed.2d 868 (2009). Therefore, the court must begin by, “identifying the allegations of the complaint that are not entitled to the assumption of truth” because they are merely legal conclusions. Id. at 1951. Second, the court must, “consider the [remaining] factual allegations in [the] complaint to determine if they plausibly suggest an entitlement to relief.” Id. See also Cardigan Mountain School v. New Hampshire Ins. Co., 787 F.3d 82, 84 (1st Cir. 2015). Distinguishing factual allegations from mere legal conclusions. We follow this unbroken line of cases and hold that the rote recital of the elements of a cause of action is not enough, by itself, to nudge a case past the plausibility threshold. This remains true even where, as here, plaintiffs attempt to camouflage conclusory statements as allegations of fact. When allegations, though disguised as factual, are so threadbare that they omit any meaningful factual content, we will treat them as what they are: naked conclusions. A conclusory allegation, however, is one which simply asserts a legal conclusion, such as “I was retaliated against,” not a specific factual allegation, such as “my supervisor threw a book at me,” that merely lacks some surrounding context. We have held that some factual allegations may be so “threadbare” that they are in essence conclusory even if they include more than an assertion that an element of a cause of action was satisfied. But this is only the case where the bareness of the factual allegations makes clear that the plaintiff is merely speculating about the fact alleged and therefore has not shown that it is plausible that the allegation is true. Id. at 286. (Internal citations omitted). The distinction between factual allegations and legal conclusions was discussed in detail in Cardigan Mountain School, where the issue was whether the plaintiff had alleged a plausible claim that the defendant insurer had issued an insurance policy to the plaintiff school. The court looked to the Supreme Court’s opinions in Twombly and Iqbal for guidance. In Iqbal, the plaintiff, who had been arrested and detained after the 9/11 attacks but was eventually released, brought civil rights claims against federal officials including John Ashcroft, who had been the United States Attorney General at the time, and Robert Mueller, then the Director of the FBI. The court found that although the complaint contained some factual assertions which were entitled to an assumption of truth, it was also rife with legal conclusions. The Supreme Court explained that the complaint’s “bald allegations” that Ashcroft and Mueller were personally involved in unconstitutional conduct were “conclusory” and thus should have been disregarded by the district court. Id. at 681, 129 S.Ct. 1937. In particular, the Supreme Court held that statements that Ashcroft and Mueller “ ‘knew of, condoned, and willfully and maliciously agreed to subject [the plaintiff]’ to harsh conditions of confinement” based on his “ ‘religion, race, and/or national origin’ ” were not factual allegations that must be taken as true. Id. at 680, 129 S.Ct. 1937. And the Court ruled the same with respect to Iqbal’s allegations that “Ashcroft was the ‘principal architect’ ” of the policy and that “Mueller was ‘instrumental’ in adopting and executing it.” Id. at 680–81, 129 S.Ct. 1937. These sorts of allegations, the Court explained, were “nothing more than a ‘formulaic recitation of the elements’ of a constitutional discrimination claim.” Id. at 681, 129 S.Ct. 1937 (quoting Twombly, 550 U.S. at 555, 127 S.Ct. 1955). In contrast, Iqbal did credit as factual those allegations in the complaint that made reference to specific events. See id. (crediting allegations including “that ‘the [FBI], under the direction of Defendant MUELLER, arrested and detained thousands of Arab Muslim men’ ”). Cardigan Mountain School, 787 F.3d at 86, quoting Iqbal. In Twombly, an antitrust case alleging price fixing, the Supreme Court held that allegations that the defendants had engaged in parallel conduct were factual and entitled to an assumption of truth, while also ruling that the portions of the complaint which directly alleged a conspiratorial agreement among the defendants were nothing more than legal conclusions. In particular, the allegation that the defendants “have entered into a contract, combination or conspiracy … and have agreed not to compete with one another” was, the Supreme Court held, no more than a legal conclusion based on the allegations of parallel conduct. Id. at 564–65, 127 S.Ct. 1955. And thus, the Supreme Court held that this direct allegation of agreement did not need to be taken as true. See id. Cardigan Mountain School, 787 F.3d at 86, quoting Twombly. The allegations in the school’s complaint described above are specific and factual. The complaint refers to individuals with relevant knowledge who are recalling facts plausibly known to them. Those allegations are thus like the allegations of actual events in Iqbal and of parallel conduct in Twombly that the Supreme Court took as true; they are specific and appear to be based on the knowledge of particular individuals. They are not bare recitations of the legal conclusion the suit seeks to prove. We thus conclude that the school’s allegations set forth above are entitled to the presumption of truth at the motion to dismiss stage. Cardigan Mountain School, 787 F.3d at 87. See also Rodriguez-Vives, 743 F.3d at 286 (“Here, in contrast, Rodríguez–Vives’s complaint described actions of which she had personal knowledge in sufficient detail to make them plausible.”). Do the factual allegations suggest a plausible entitlement to relief? After separating the true factual allegations from mere legal conclusions, the court must determine whether those allegations suggest a plausible claim to relief. In conducting this “context specific” inquiry, “the reviewing court [must] draw on its judicial experience and common sense.” Garcia-Catalan v. United States, 734 F.3d 100, 103 (1st Cir. 2013), quoting Iqbal,129 S.Ct. 1940. See also Schatz v. Republican State Leadership Comm., 669 F.3d 50, 55 (1st Cir. 2012). “In performing [its] review, [the court] … can consider (a) implications from documents attached to or fairly incorporated into the complaint, (b) facts susceptible to judicial notice, and (c) concessions in plaintiff’s response to the motion to dismiss.” Schatz, 669 F.3d at 55-56. (Internal quotation marks and footnotes omitted). “Plausible … means something more than merely possible.” Schatz, 669 F.3d at 55. See also Carrero-Ojeda v. Autoridad de Energia Electrica, 755 F.3d 711, 717 (1st Cir. 2014). “And a complaint that ‘pleads facts that are “merely consistent with” a defendant’s liability … “stops short of the line between possibility and plausibility.” ’ ” Ocasio–Hernández, 640 F.3d at 12, quoting Iqbal, 129 S.Ct. at 1949. “The factual allegations must ‘raise a right to relief above the speculative level … [based] on the assumption that all the allegations in the complaint are true….’ ” Galiastro, 467 Mass. at 165. However, although the plausibility standard is more demanding than the former “prove no set of facts” approach, the bar remains fairly low. All that is required is that the, “plaintiff pleads factual content that allows the court to draw the reasonable inference that the defendant is liable for the misconduct alleged.” Iqbal, 129 S. Ct. at 1949. Even if such an inference is “plausible but inconclusive,” the claim survives. Rodriguez-Vives, 743 F.3d at 286. See also Decotiis v. Whittemore, 635 F.3d 22, 35 (1st Cir. 2011). The plausibility standard “does not demand a high degree of factual specificity.” Garcia-Catalan, 734 F.3d 100, 103 (1st Cir. 2013). The “plaintiff need not show that its allegations … are more likely than not true.” Evergreen Partnering Grp., Inc. v. Pactiv Corp., 720 F.3d 33, 46 (1st Cir. 2013). See also Sepulveda-Villarini v. Dep’t of Educ. of Puerto Rico, 628 F.3d 25, 30 (1st Cir. 2010) (“Twombly cautioned against thinking of plausibility as a standard of likely success on the merits”). [A] complaint need not plead facts sufficient to establish a prima facie case or “allege every fact necessary to win at trial to make out a plausible claim. The prima facie standard is an evidentiary standard, not a pleading standard, and there is no need to set forth a detailed evidentiary proffer in a complaint. 755 F.3d at 718. (Internal quotation marks and citations omitted). However, the “elements of a prima face case remain relevant to [the] plausibility assessment, as [those] elements are part of the background against which a plausibility determination should be made.” Id. (Internal quotation marks omitted). “[R]eference to the prima facie elements can help a court determine whether the “cumulative effect of the complaint’s factual allegations” is a plausible claim for relief. Id. Nor may the court disregard a properly pled factual allegation merely because the court disbelieves it, finds it doubtful or unlikely to be supported by evidence at trial. The court must assume factual allegations to be true “even if doubtful in fact” Galiastro, 467 Mass. at 165. “[T]he court may not disregard properly pled factual allegations, even if it strikes a savvy judge that actual proof of those facts is improbable. Indeed, a well-pleaded complaint may proceed even if … a recovery is very remote and unlikely. Ultimately, [t]he relevant inquiry focuses on the reasonableness of the inference of liability that the plaintiff is asking the court to draw from the facts alleged in the complaint. Medina-Velazquez v. Hernandez-Gregorat, 767 F.3d 103, 109 (1st Cir. 2014). (Internal quotation marks and citations omitted). See also Twombly, 127 S.Ct. at 1965 (“Rule 12(b)(6) does not countenance … dismissals based on a judge’s disbelief of a complaint’s factual allegations.” (Internal quotation marks omitted)); Evergreen, 720 F.3d 33, 45 (1st Cir. 2013). Moreover, the court may not conclude that a plaintiff’s factual allegations fail to establish a plausible claim simply because the court deems a different factual scenario more plausible. The question at the pleading stage is not whether there is a plausible alternative to the plaintiff’s theory; the question is whether there are sufficient factual allegations to make the complaint’s claim plausible…. [T]here may … be more than one plausible interpretation of the defendant’s words, gestures, or conduct. Consequently, although an innocuous interpretation of the defendants’ conduct may be plausible, that does not mean that the plaintiff’s allegation that that conduct was culpable is not also plausible…. [O]n a Rule 12(b)(6) motion it is not the province of the court to dismiss the complaint on the basis of the court’s choice among plausible alternatives. Assuming that [plaintiff] can adduce sufficient evidence to support its factual allegations, the choice between or among plausible interpretations of the evidence will be a task for the factfinder. Evergreen, 720 F.3d at 45-46, quoting Anderson News, LLC v. American Media, Inc., 680 F.3d 162, 189-90 (2d Cir.2012). Also relevant is whether, in the court’s view, any factual shortcomings of the complaint are reasonably likely to be remedied through discovery. An important purpose of a motion to dismiss is to save the defendant from incurring the costs of discovery before being able to dispose of the matter. The plausibility test “helps keep defendants from wasting time and money in discovery on largely groundless claims.” Schatz, 669 F.3d at 56. (Internal quotation marks omitted). “[T]he plausibility inquiry properly takes into account whether discovery can reasonably be expected to fill any holes in the pleader’s case.” García–Catalán v. United States, 734 F.3d 100, 104 (1st Cir.2013). To clear the plausibility hurdle, a complaint must contain “enough fact[s] to raise a reasonable expectation that discovery will reveal evidence” sufficient to flesh out a viable claim. Twombly, 550 U.S. at 556, 127 S.Ct. 1955. Butler v. Balolia, 736 F.3d 609, 617-18 (1st Cir. 2013). Accordingly, the plausibility test may be applied less rigorously in certain cases where, “a material part of the information needed is likely to be within the defendant’s control” and can therefore be obtained only via discovery. Garcia-Catalan, 734 F.3d 100, 104 (1st Cir. 2013). While the plausibility standard undoubtedly requires plaintiffs to offer greater factual support for their claims than was necessary under the prior standard, and while the concept of “plausibility” continues to evolve, it is clear that the bar remains relatively low. Nevertheless, plaintiffs would be well advised to state their claims with as much factual detail as possible and to avoid reliance on conclusory legal allegations. In reviewing a motion for summary judgment, the Superior Court must construe all evidence in the light most favorable to the non-moving party and draw all reasonable inferences in favor of the opposing party. Moreover, any doubt about the existence of a genuine issue of material fact must be resolved against the movant. The court does not pass upon the credibility of witnesses or the weight of the evidence or make its own findings of facts. A court should not grant a party’s motion for summary judgment merely because the facts he offers appear more plausible than those tendered in the opposition, or because it appears that the adversary is unlikely to prevail at trial. Instead, the court should only determine whether a genuine issue of material fact exists. The moving party’s failure to establish the absence of a genuine issue of material fact must, without more from his opponent, defeat his motion. If on motion under this rule judgment is not rendered upon the whole case or for all the relief asked and a trial is necessary, the court at the hearing of the motion, by examining the pleadings and the evidence before it and by interrogating counsel, shall if practicable ascertain what material facts exist without substantial controversy and what material facts are actually and in good faith controverted. It shall thereupon make an order specifying the facts that appear without substantial controversy, including the extent to which the amount of damages or other relief is not in controversy, and directing such further proceedings in the action as are just. Upon the trial of the action the facts so specified shall be deemed established, and the trial shall be conducted accordingly. Note, however, that the Massachusetts Superior Court’s Business Litigation Session (“BLS”) has issued a procedural order limiting the use of partial dispositive motions, including partial summary judgment. Return to summary judgment home page. Rule 9A Affidavit of Counsel (but only if the party opposing the motion fails to serve an opposition on the moving party). Any additional exhibits referred to in the opposing party’s papers, and an index thereto, for inclusion in the parties’ Joint Appendix. Either party may file Motion to Strike and the opposing party may file a cross-motion with the opposition. Massachusetts Superior Court Rule 9A sets forth detailed requirements governing the format of summary judgment documents. Separate memorandum. A motion for summary judgment must be accompanied by a separate memorandum of law “stating the reasons, including supporting authorities, why the motion should be granted.” Rule 9A(a)(1). Format. All summary judgment papers (motions, memoranda, oppositions, etc. ), except for exhibits, must be filed on 8.5″ x 11″ paper, must be typed in at least 12-point type and must be double spaced. Although the title of the case, footnotes and quotations may be single spaced, they still must be in 12-point type. Titles. The title of each document must appear on the first page thereof. Length. Memoranda of law supporting or opposing the motion are limited to 20 pages unless leave of court is obtained. Reply memoranda are limited to 10 pages. Note, however, that a reply memorandum, filed pursuant to Rule 9A(a)(3) without leave of court, is limited to five pages. The length limits do not apply to either the parties’ consolidated Statement of Material Facts or the Joint Appendix of Exhibits. Leave of court to exceed length limits may be obtained as provided in Rule 9A(a)(5), and any expanded page limit allowed by the court will apply to all parties. Email addresses. A party or attorney who has an email address must include the address on all papers filed. Rule 9A(a)(6).